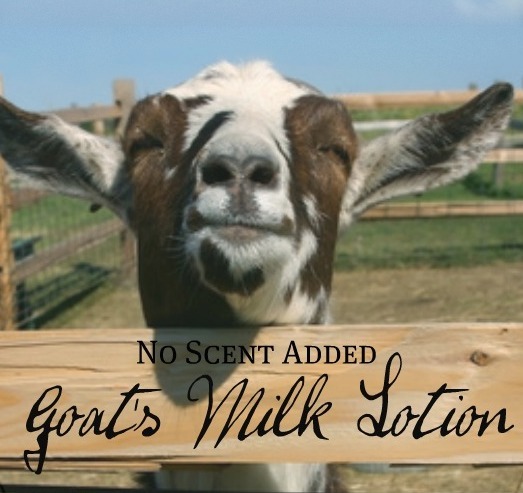 Goat's Milk Lotion ~ No Scent 2 oz. 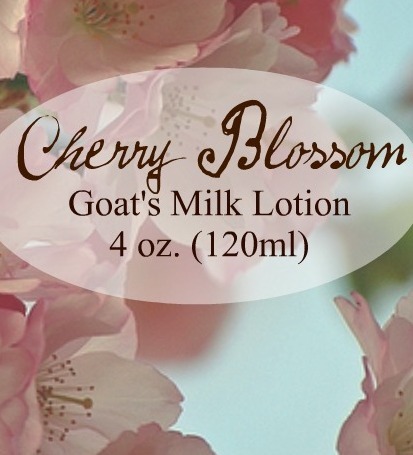 Goat's Milk Lotion ~ Cherry Blossoms 2 oz. 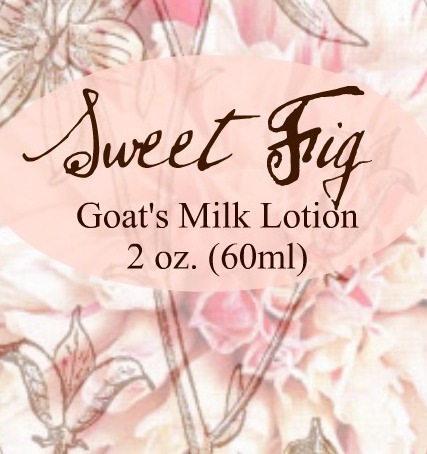 Goat's Milk Lotion ~ Sweet Fig 2 oz. 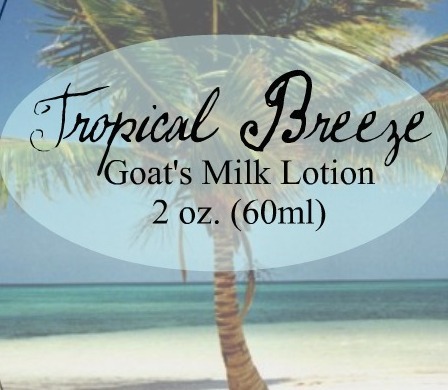 Goat's Milk Lotion ~ Tropical Breeze 2oz. Goat's Milk Lotion ~ Creamy Rasberry 2 oz. 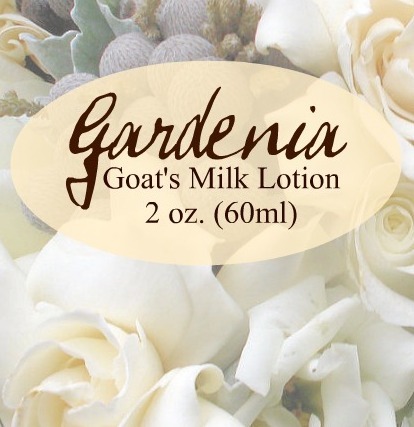 Goat's Milk Lotion ~ Gardenia 2 oz. 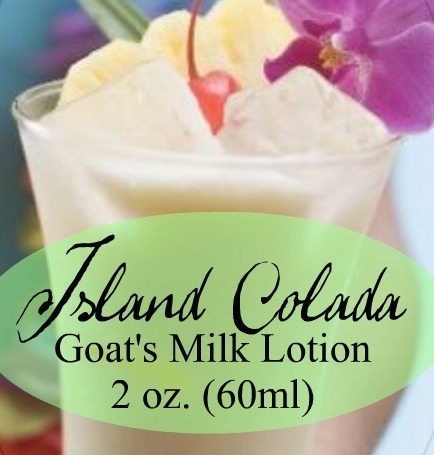 Goat's Milk Lotion ~ Island Colada 2 oz. 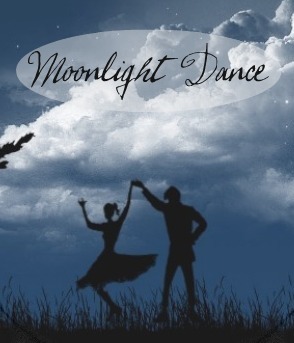 Goat's Milk Lotion ~ Moonlight Dance 2oz. 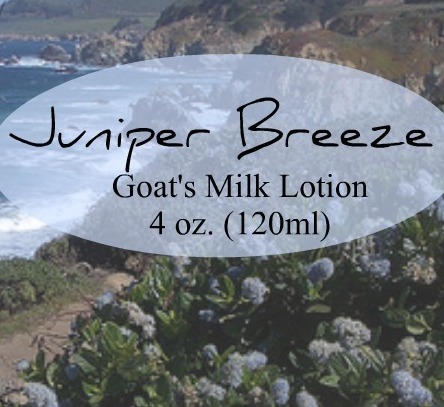 Goat's Milk Lotion ~ No Scent 4 oz. 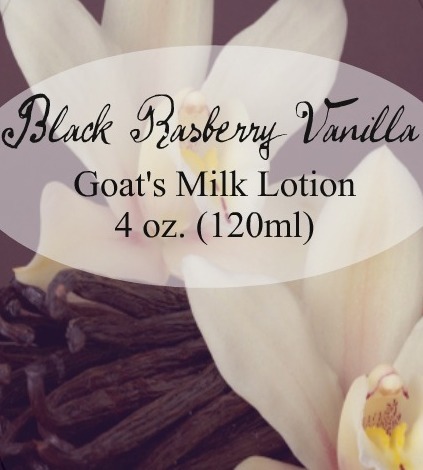 Goat's Milk Lotion ~ Black Rasberry Vanilla 4 oz. 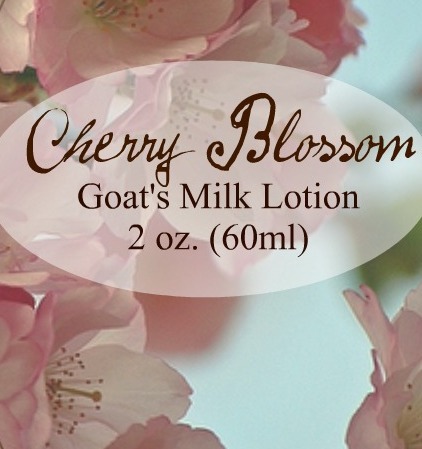 Goat's Milk Lotion~ Cherry Blossom 4 oz. Goat's Milk Lotion ~ Sweet Fig 4 oz. 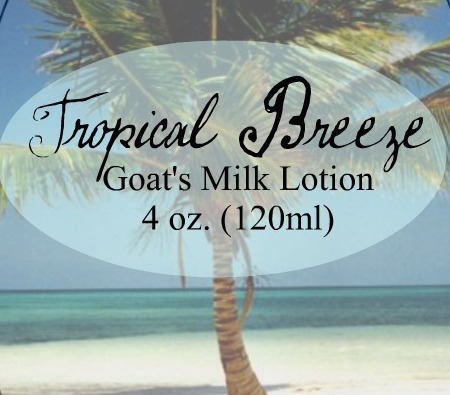 Goat's Milk Lotion~ Tropical Breeze 4 oz. 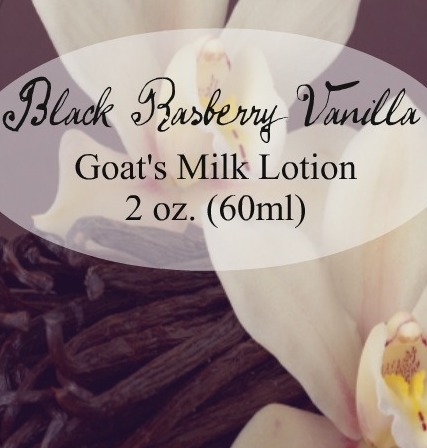 Goat's Milk Lotion ~ Creamy Rasberry 4 oz. 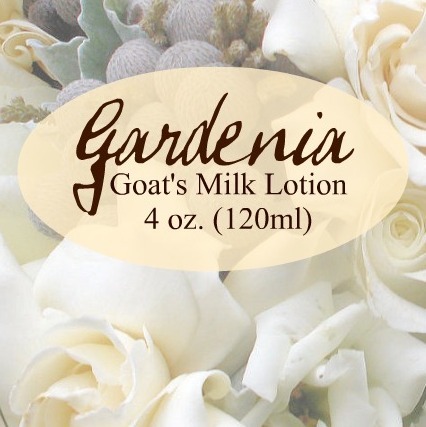 Goat's Milk Lotion ~ Gardenia 4 oz. 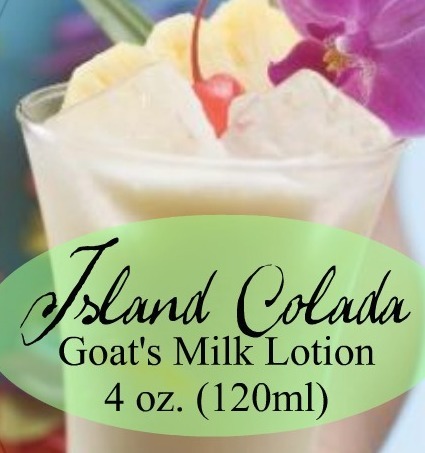 Goat's Milk Lotion~ Island Colada 4 oz. Goat's Milk Lotion ~ Juniper Breeze 4 oz. 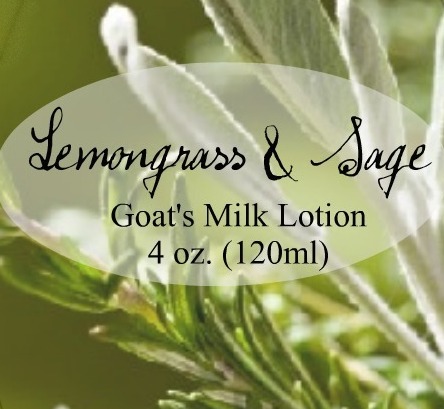 Goat's Milk Lotion ~ Lemongrass Sage 4 oz. 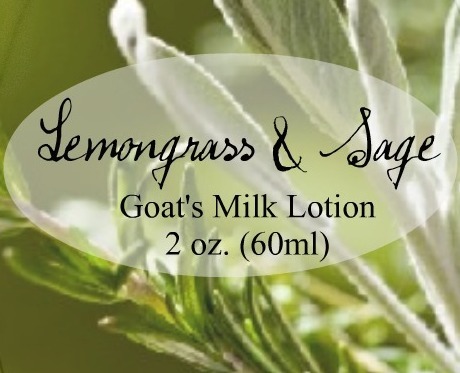 Goat's Milk Lotion ~ Moonlight Dance 4oz.